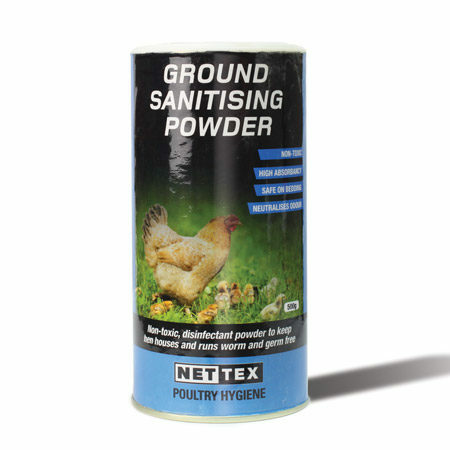 Our poultry hygiene products including Disinfectants and Ground Sanitising Powders are designed to keep your chickens clean and healthy. 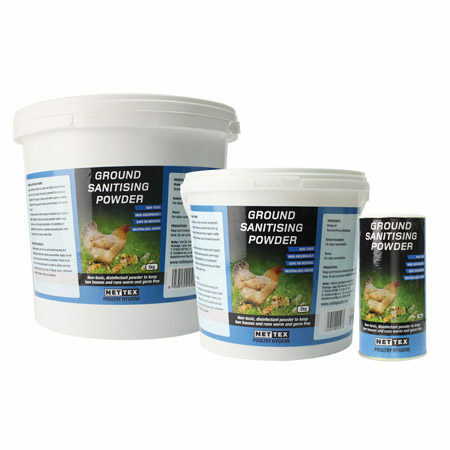 For use in coops and runs to help maintain a healthier environment for your poultry. 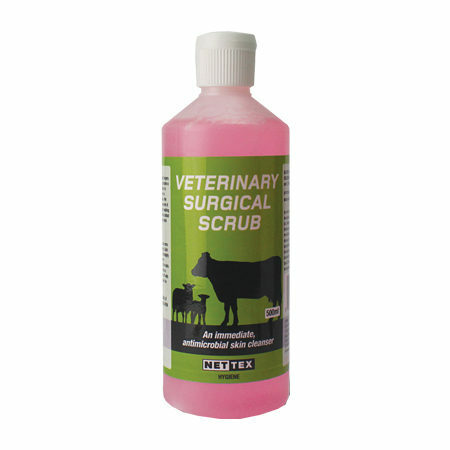 Apply liberally where faeces and organic matter are prevalent. 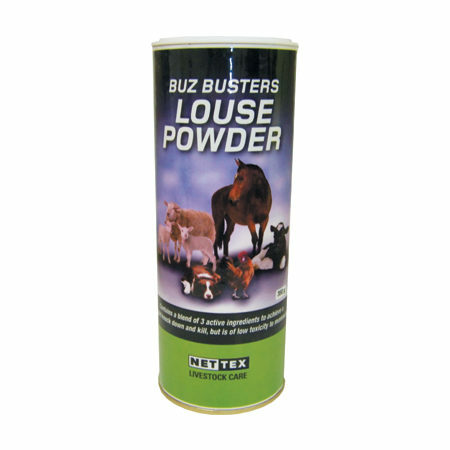 Once every 3 weeks shake powder over run and inside housing and nesting boxes ensuring a light coating is visible. 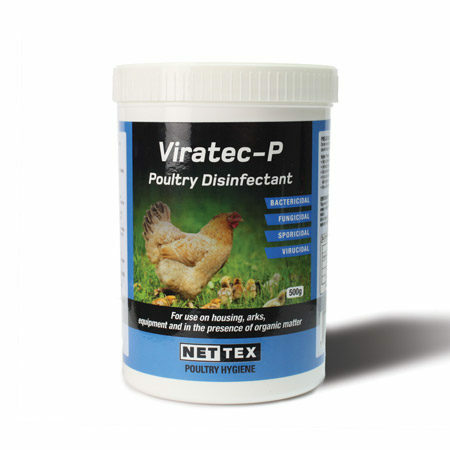 Poultry 4 in 1 Disinfectant kills bacteria and viruses associated with poultry disease. 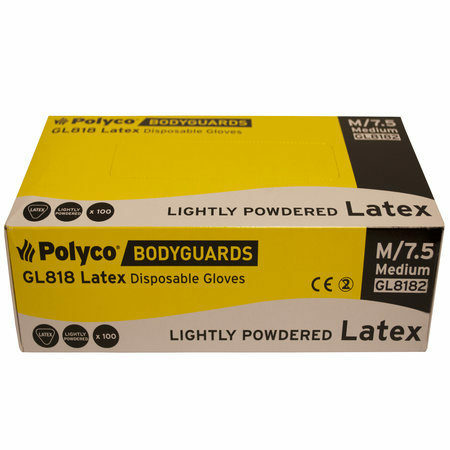 Spray directly onto all equipment and utensils once a week, and leave to dry. 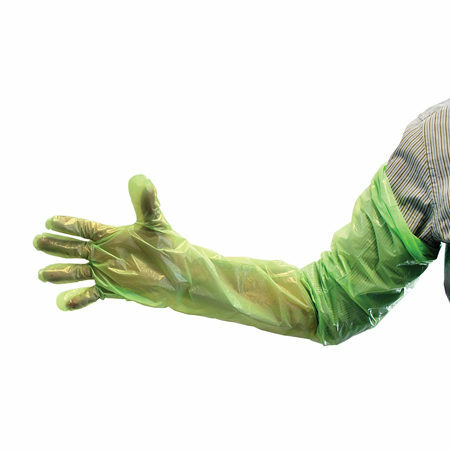 When using an incubator to hatch, ensure all incubator parts are disinfected thoroughly before use. 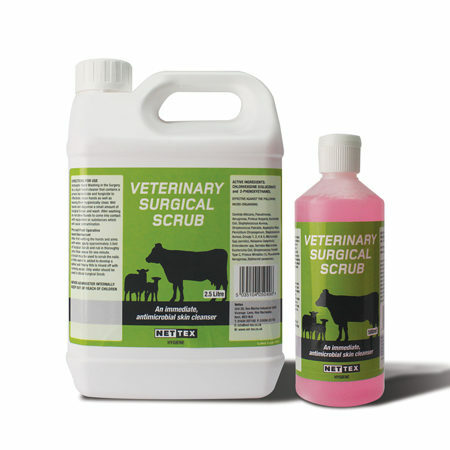 Any hatching eggs should be wiped carefully with cold disinfectant solution before setting in the incubator. 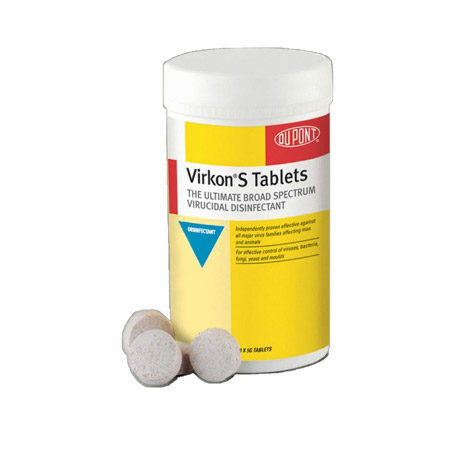 For use as an egg wash, spray directly on to the eggs and leave to dry. Dry matter may be wiped off the egg carefully. 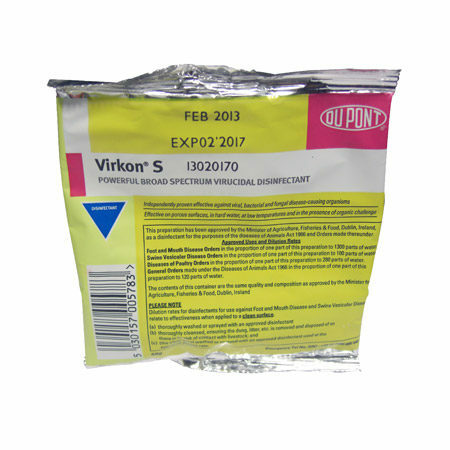 Egg wash will not affect the egg integrity. 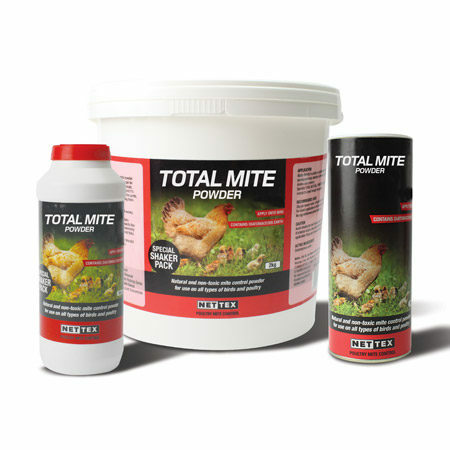 Nettex Total Mite Powder (Hygiene Powder) with Diatomaceous Earth is a natural mite control powder that can be applied directly onto all types of birds and poultry. 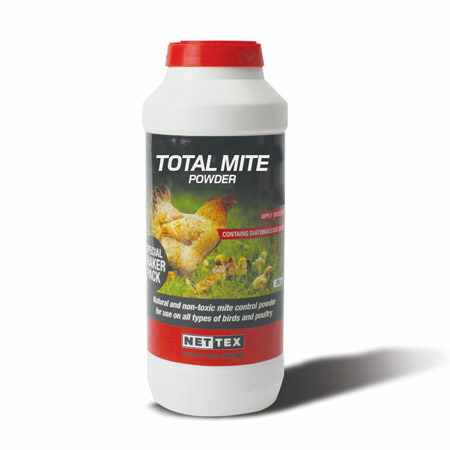 Nettex Total Mite Powder (Hygiene Powder) may also be mixed with wood ash in the dust bath, which should be in a covered area of the run. 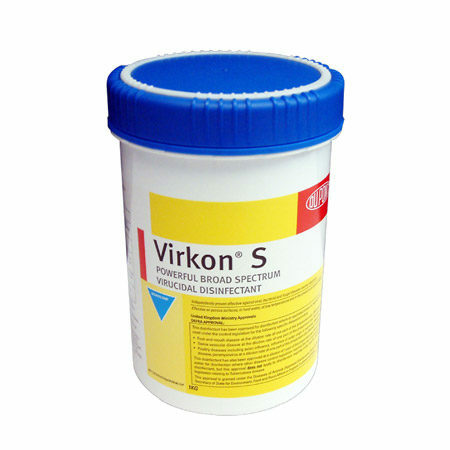 A broad spectrum poultry disinfectant powder concentrate. 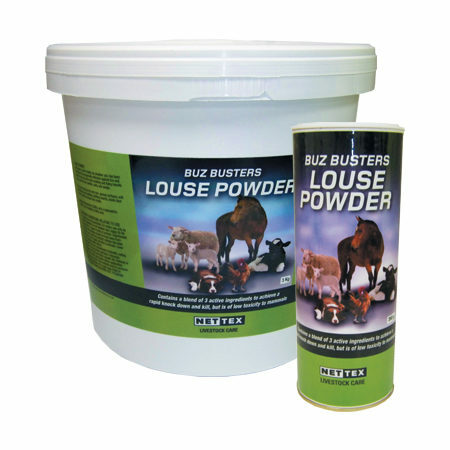 It can be used on poultry housing, arks, equipment and on porous surfaces. 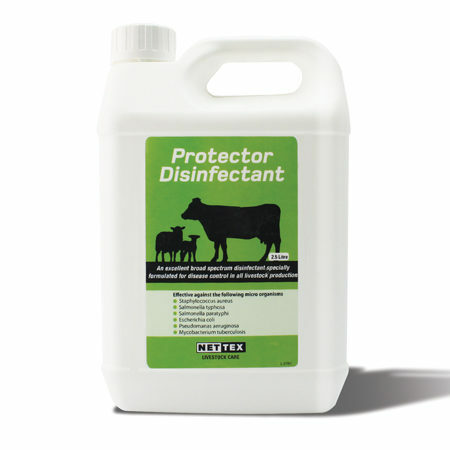 Effective in the presence of organic matter. 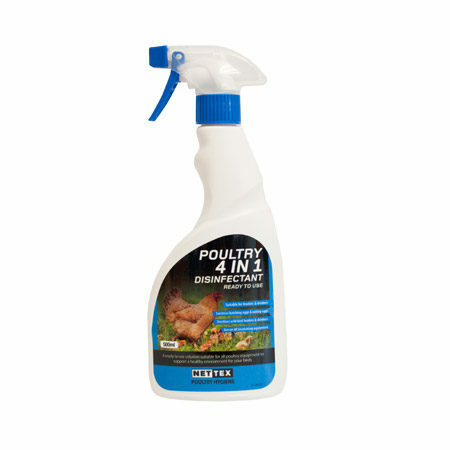 Mix up a solution into a large bucket for soaking poultry utensils, or fill a spray bottle for application to all poultry equipment. 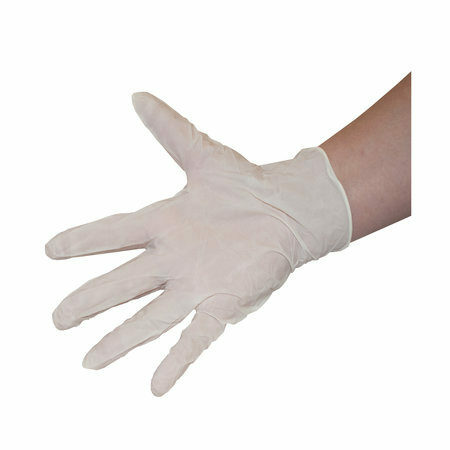 500g will make 50L of solution.